Rep. John Lewis’s memoir of the Civil Rights movement is not ancient history. It’s the guidebook we need today. I keep coming back to March. It’s not something I thought would happen. It’s a good book, true, but now more than ever, it’s a necessary book. It should not be necessary. 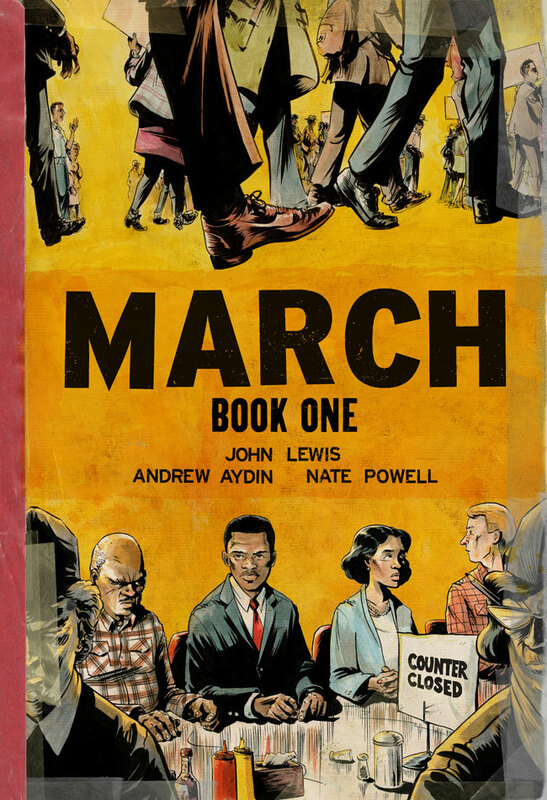 We were supposed to be reading March, Rep. John Lewis’s memoir of the Civil Rights movement, as history. The final volume ends on a triumphant note, with the passage of the Voting Rights Act. When we closed the book, we were supposed to be closing the book on the terrible history of Jim Crow in America. Except we haven’t. Before Lewis and his co-authors, Andrew Aydin and Nate Powell, were even finished with the third volume, the Supreme Court rolled back the protections of the Voting Rights Act. In preparation for the 2016 election, many states closed down registration sites, purged the voter rolls, restricted polling places and hours, and in the case of the North Carolina Republicans, actually sent out a press release bragging about suppressing black votes.